Yesterday I shared that for the next 14 days I’m giving up caffeine, alcohol, dairy, sugar and gluten. I’m doing Dr. Frank Lipman’s Eleven Eleven Wellness cleanse. This entire week I’m going to be filling you in on the WHY’s to which I’m giving up each item. Yesterday I filled you in on why I gave up caffeine and today I’m sharing about why I’m givin’ up my wine (and all other alcoholic beverages). Now let me say that I don’t drink that often. I wake up at 5 AM every (weekday) morning, so alcohol is typically not in my nightly regime. When I do drink it’s on the weekends and admittedly a bit more than need be. Summer weekends for me are the most challenging when it comes to the booze. Going away to the beach for me entails dinners and drinks with friends and many late nights. This leads to a not-so-awesome feeling the next morn’ and thus a not-so healthy breakfast. So this alcohol free thing has MANY beneficial factors for ME! Because alcohol needs no digestion it is quickly absorbed and metabolizes before most other nutrients. About 20% of alcohol is absorbed directly across the stomach wall and can reach the brain within as little as one minute. When alcohol reaches the stomach it begins to break down by approximately 20%. Alcohol is then processed and rapidly absorbed in the upper portion of the small intestine. 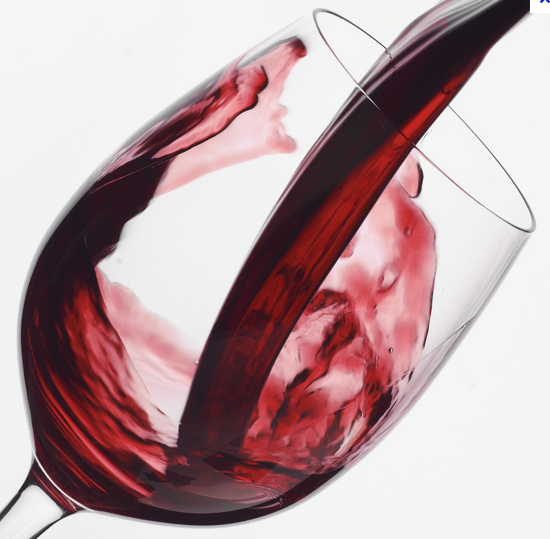 Then the alcohol-laden blood travels to the liver through the veins and capillaries of the digestive tract. The liver cells are the only cells in our body that can produce enough of the enzyme alcohol dehydrogenase (breaks down alcohol and is also present in the stomach) to oxidize alcohol at a significant rate. Though alcohol affects every organ of the body, it’s most dramatic impact is upon the liver. The liver cells normally prefer fatty acids as fuel, and package excess fatty acids as triglycerides, which they then route to other tissues of the body. BUT, when alcohol is present, the liver cells are forced to first metabolize the alcohol, letting the fatty acids accumulate, sometimes in huge amounts. Alcohol metabolism permanently changes liver cell structure, which impairs the liver’s ability to metabolize fats, make sense? This explains why heavy drinkers tend to develop fatty livers. The liver can only metabolize about ½ ounce of ethanol per hour (appx one drink, depending on a person’s size, food intake, etc.). If more alcohol arrives in the liver than the enzymes can handle, the excess alcohol circulates throughout the body until the liver enzymes are finally able to process it. (Which is a good reason not to consume more than one drink per hour and explains why on nights of heavy alcohol consumption why you may wake up still feelin’ woozy!). Malnutrition – Increases the risk of protein-energy malnutrition; low intakes of protein, calcium, iron, vitamin A, vitamin C, thiamine, vitamin B6 and riboflavin, and impaired absorption of calcium, phosphorus, vitamin D and zinc. SO there are benefits to drinking at a mild or moderate level, for sure, but for the next 13 (originally 14, but I started yesterday) I’ll be taking a break from it all. As you read above, alcohol stresses the body forcing it to process the alcohol rather than heal itself. By taking this time away from “the sauce” I’ll be giving my bod time to heal. It’s all about me in the end. Are you in? If so shoot me a line in the comment section and let me know how you’re doin’! This entry was posted in FIERCE HEALTH, FIERCE SOUL, FIERCE- ISH and tagged #alcohol, #on the wagon, health, weightloss, wellness by GETFIERCE TRAINING. Bookmark the permalink. I’m in… except for my birthday next Friday. Love it! I can’t wait to celebrate with you on Sunday…sans alcohol 😉 Love you, Mama!